The British National Party (BNP) was winning substantial votes and local councillors in our northern towns and traditional anti-racism and anti-fascism was failing. HOPE not hate was established to offer a more positive and engaged way of doing anti-fascism. We prioritised working in communities to town centre demonstrations; we engaged and spoke to local people rather than to ourselves; and we realised that the BNP was tapping into a wider mood of alienation and hardship and it was important to address issues of concern to voters. And we have had some amazing success. Our campaign can take some credit for the collapse of the BNP. Our consistent and targeted campaigning has seen the BNP wiped out in virtually every council chamber it was in. From Burnley to Bradford, Oldham to Sandwell, HOPE not hate has worked tirelessly on the ground with local people to defeat the politics of hate. In 2010 we achieved our biggest success to date, when we defeated the BNP in Barking & Dagenham. The BNP had averaged 41% of the vote in the wards they contested in the previous elections, making them the second largest party, and so they went into 2010 thinking they stood a chance of taking control of the council. Leader Nick Griffin was also standing in the parliamentary seat in Barking. The BNP not only failed to win the council but lost every seat they were contesting. Griffin was also humiliated. HOPE not hate ran its largest ever campaign, with 355,000 pieces of literature distributed in the borough in the five months leading up to the election. Over 1,500 different people were involved in our campaign, with 541 and 385 attending two Days of Action towards the end of the campaign. Defeated and demoralised, the BNP became consumed in internal strife and the party quickly unravelled nationally. Our campaigning has always been backed up by first class research and intelligence. We have exposed the illegal activities of extremist groups, revealed the unsavoury side to hundreds of extremist candidates over the years and helped frame groups like the English Defence League in the media. 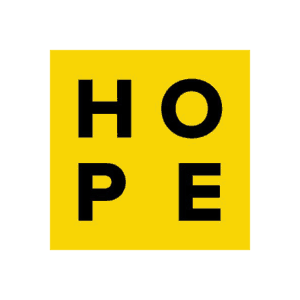 Since 2010, HOPE not hate has focused more on community politics. We have built peaceful and positive resistance to attempts by the English Defence League to divide communities, offered support to and run joint initiatives with Muslim organisations and have begun campaigning against Islamist extremism. In May 2013, just days after the murder of Lee Rigby in Woolwich, over 47,000 people signed our ‘We Are The Many’ letter, which spoke out against the EDL trying to whip up anti-Muslim hatred and the Islamist extremists who were behind the murder. Since it was founded in 2004, HOPE not hate has become one of the largest and most successful political action groups in the country.